Our son would not be in the position he is now if it wasn’t for the team at the tree of hope….we fundraised endlessly and the tree of hope helped us organise our trip to America which was a terrifying time for our family as our son was having major surgery ….they took away all the fuss and added pressure of the financial side to things by organising and making sure all was above board and correct by having the tree of hope to help us hold our funds we wouldn’t have been able to raise the amount we needed to help our child improve his life we owe them a lot and will be forever thankful. Tree of Hope made it possible for us to access specialist treatment that my daughter needed, but which wasn’t available on the NHS. Mim was tube fed for 2 and a half years, and we weren’t getting much help with teaching her to eat, until we found a ‘NoTube’ clinic run in the Netherlands. Through Tree of Hope and the help of friends & family, we were able to raise the £8,000 needed to attend the clinic for a fortnight, during which time Mim went from totally tube-fed to eating & drinking enough to sustain herself. Just over a year later, she is thriving and we’re enjoying family meals together, and we’re so grateful for Tree of Hope making that possible. Tree of Hope are there to help families like ours to raise much needed funds for something very important to them. In our case we felt strongly that our son deserved some independence and dreamed of buying him a power chair.The dream seemed out of reach, £10,000 is a huge amount of money, but with the kindness of family and friends we started to see it may just be possible. Tree of hope is wonderful as it helps families spread the word wider and to people who feel secure knowing we had a charity number. It’s also nice to know a small amount of funds raised helps others too.To everyone at Tree of hope, Thank you so much for advising us, supporting us and most of all for helping us to make Richie’s dream come true! His new power chair is fabulous! We have been members of the Tree of Hope family for nearly three now when we tentatively started our fundraising journey. 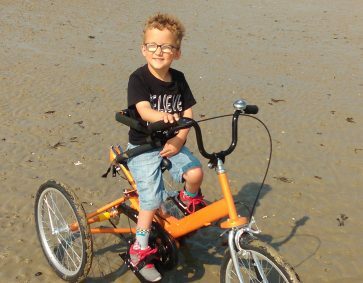 Tristan was 4 at the time and we decided to raise £60,000 for him to have the SDR operation in America. My husband and I had fundraised in the past for different charities but the amount of money we needed for America was so huge, it was daunting, intimidating, and frankly baffling. We had no idea where to start. 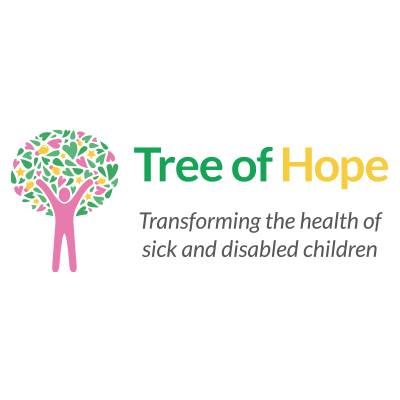 Tree of Hope guided us gently in the right direction of setting up a fundraising page on JustGiving, advised us on how much to set our target as, and suggested we contact other parents who had succeeded in raising the money. This latter advice proved invaluable, not just for the input they gave us on events but on the encouragement and friendship which resulted. Tree of Hope were there every step of the way to answer questions and reassure us. It was so easy for people to donate to Tristan’s cause, if we had done it ourselves with a community bank account I wonder if we would still be fundraising now. They also offered help in working with the press and handling newspaper releases & interviews. Without their practical help we would never have made it to America. They handle all of the stress of invoices – paying them and handling enquiries about them – booking flights, booking hotels. Their relationships with so many suppliers made the trip, the operation and the extensive physiotherapy (plus the equipment needed for this physio) very very easy. The whole fundraising journey and the operation itself could have been so stressful, but with Tree of Hope it was simple and surprisingly enjoyable.It’s safe to say that without Tree of Hope’s input, Tristan would never have had his life-changing operation. Thank you so much!